The role of human resources (HR) has changed dramatically over the years. Quantum leaps in technology have instigated change in virtually every field, and HR has rapidly evolved from its longstanding staid role of personnel management and administration to a dynamic undertaking that takes centre stage in managing change within organisations. “One might think that HR is about personnel management, payroll administration, maintaining employee files, and handing out salary confirmations or service letters. 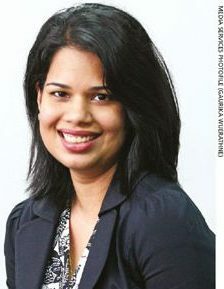 But HR has evolved and is more about functioning as a business partner that helps achieve organisational goals,” says Oshana Dias. She explains that HR encompasses the process from ‘hire to retire.’ This includes on boarding – which involves ensuring that new employees are ‘acclimatised’ to the social and performance aspects of their jobs – as well as training and development, performance and talent management, employee engagement and business partnering. HR is like the central nervous system of an organisation; it ensures smooth functioning and corporate growth by efficiently managing its greatest resource – people. Citing the meteoric rise of Kat Cole, who went from waitressing at Hooters to being the Group President of Focus Brands through her entry into human resources, Dias points out that there are many examples of successful leaders who began their careers in HR. The logic is easy to follow: the backbone of any organisation is its people; therefore, those who possess people management and development skills are among the best suited to lead companies. Today, HR is stamping its position as a vital cog in the corporate wheel and Dias notes that the increased visibility comes with many challenges – for example, bridging the gap between traditional corporate culture and the increasingly ambitious expectations of the millennial workforce. “The expectations of millennials have led to a paradigm shift in the HR function. They’re changing corporate culture and challenging traditional ‘9-5’ manager-subordinate policies in the workplace. They come with innovative ideas and a can-do attitude, and these traits are crucial to corporate success. Now more than ever, HR managers need guidance on managing millennials,” she emphasises. Changing the existing corporate culture to embrace more forward-thinking and transparent policies – as well as offering training opportunities and performance based career advancement, in addition to ensuring a work-life balance – are among the imperatives that HR needs to help facilitate. As HR evolves to accommodate a new generation of working people, it must align technology with the role it plays, expounds Dias. Just about every aspect of human life today is touched by technology, and this can be leveraged to establish more efficient processes that help companies operate more productively. She stresses that this is especially important in the context of one of HR’s vital functions: the recruitment and retention of talent. At a time when the demand for skilled employees surpasses availability, an agile recruitment process that ensures empowered decision making is most important. “Channels such as LinkedIn have brought new avenues of recruitment to the fore… Effectively leveraging on such tools – for both employees and employers – is a game changer in the modern world of recruitment,” Dias observes. Change and adaptability are now catchphrases in the HR field. Dias predicts that with millennials expected to account for 75 percent of the global working population by 2025, a major shift in the dynamics of the conventional workplace will become the sine qua non. “According to Glassdoor, corporate culture is among the five leading factors people consider when weighing the pros and cons of a job offer,” Dias adds. 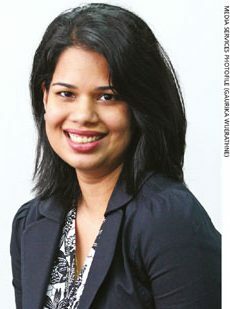 While Sri Lanka has a long way to go in adopting more forward-thinking corporate policies and cultures, Dias is confident that the growing momentum of change bodes well for the future.